For the first time ever, "Dancing With the Stars" presented Prom Night, and the only person who had a worse time at a high school dance than D.L. Hughley was Sissy Spacek’s Carrie. The news wasn’t all bad. Burke noted that judge Carrie Ann Inaba was a bit kinder and more constructive in her comments, pointing out that the dance competition is about the individual’s improvement -- and that Hughley has been improving. Still, the comments from the male judges were stinging. 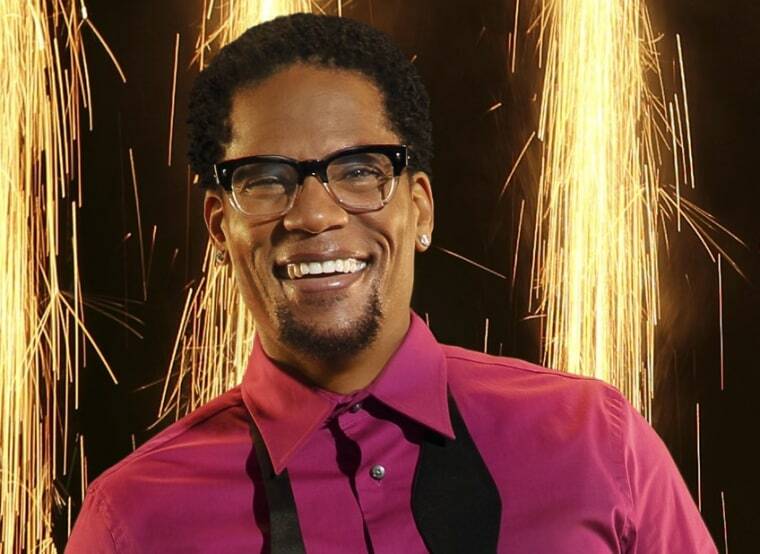 Host Tom Bergeron allowed Hughley to speak to the judges on-air immediately after they gave their critiques, which allowed the comic the opportunity to fire off a few crowd-pleasing zingers. “I don’t like being verbally assaulted without having the opportunity to retaliate,” he explained. Hughley, who has lost seven pounds since joining the show, can’t believe that he wasn’t the lowest scoring celebrity of the night. That distinction belongs to singer Wynonna Judd, who earned only 15 points for her samba (compared to Hughley’s salsa, which got 16 points). “I can’t believe anybody scored lower than me,” he marveled, hastening to add with scores so close to each other, celebrity fan bases are going to be crucial.